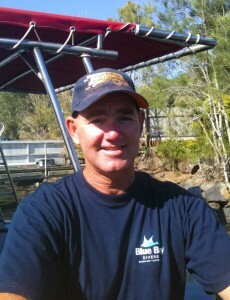 Rod Gray – Driving dive boats for over 30 years, Rod is the most experienced dive skipper in Byron Bay. With over 30 years of experience as a coxswain and as a diver/ freediver in the Byron Bay area, Rod knows the bay like very few others. 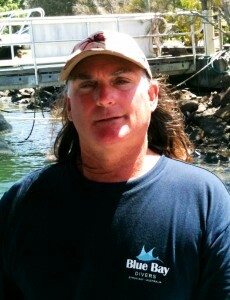 He owned his first boat in 1977, became a NAUI Instructor in 1986 and is a PADI Master Scuba Diver Trainer. 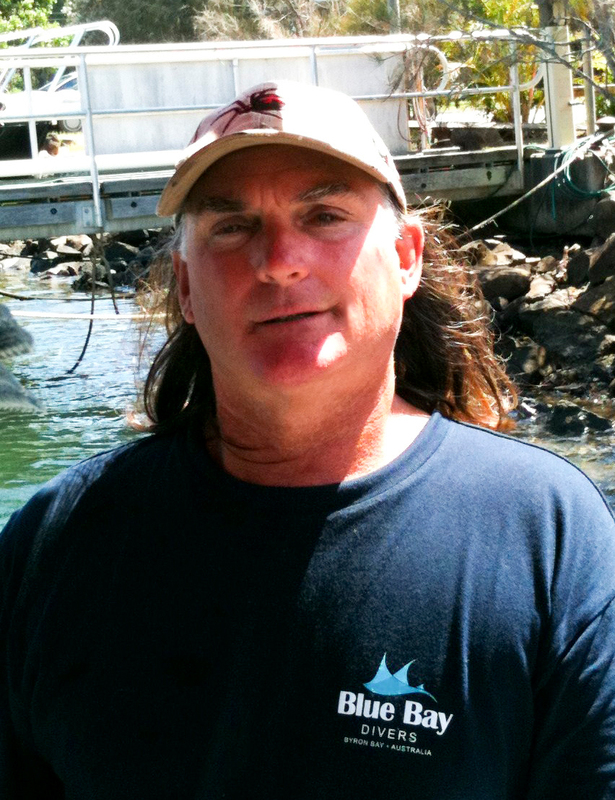 Rod has played an important role and been very successful in the dive industry in Byron Bay since the mid 1980’s, starting and establishing one of the biggest dive companies in Australia. Blue Bay Divers is Rod’s latest project giving him a chance to do what he does best and enjoys the most: making sure our divers are safe and having fun. Christina Gray – After 18 years of diving and over 15 years as a PADI Instructor, Christina still has an undiminished passion for diving and the ocean. Born and bred in Germany, she left Europe and her career in law after having a taste of the Australian life style. Christina has travelled most parts of the world diving and non-diving and has been taking dive groups overseas since 2008. 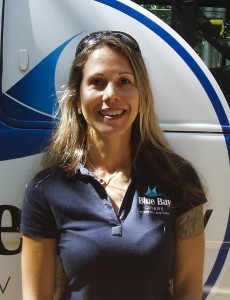 With several thousand dives at Julian Rocks and the nearby reefs, Christina is one of Blue Bay Divers’ very experienced dive guides and instructors. Mark “Roundy” Wraight – As a coxswain for 25 years, Roundy has done over 8000 bar crossings at Brunswick Heads and is one of Blue Bay Divers’ very experienced skippers. He has lived in Brunswick Heads all his life and knows the waters in the Bay like the back of his hand. Roundy learned to dive over 20 years ago; he is now a PADI Rescue Diver and the best dressed crew member at Blue Bay Divers. Roundy loves his whales and after 9 years of driving whale watching vessels from Brunswick Heads, he’s seen more whales than any of us.